Thank goodness for Nerines. Just when you thought that your successional flowering design was about to run out of steam, the world throws you a bone with an explosion of late autumn colour. In my opinion Nerines are the last, best flowering species of the year, although I will admit that pink isn't a particular favourite of mine. Undoubtedly, Nerine bowdenii is the hardiest of all Nerines which is why is is the species of choice for the northern European garden. Luckily for us, secretive plant breeders have managed to cross-breed N. bowdenii with the gorgeous, but tender N. Sarniensis to produce a much hardier, red Nerine. This stunning cultivar is Nerine bowdenii 'Codora', and is the ONLY red flowering Nerine that I can recommend for northern European gardens. Should neither of these examples float your boat then there is a pure white form which could float your boat. If pink is your 'thing' then go for the cultivar 'Fenwicks Variety' as it is larger and more vigourous than the species with deeper pink flowers. As with all Guernsey lilies they can flower from August to November. 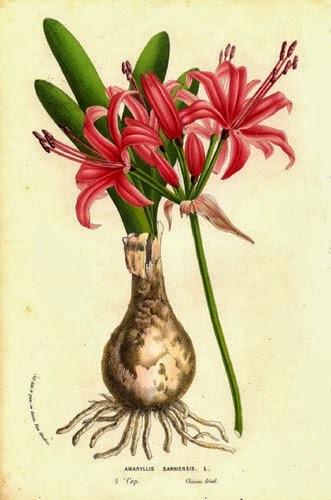 Although Nerines have the common name of 'Guernsey Lily' they are in fact a native to the Drakensberg Mountains in the Cape Province, South Africa. Of course, South Africa is classed as having a sub-tropical climate, but because Nerine bowdenii has evolved to survive in an alpine environment it is able to withstand temperatures down to −15 °Celsius! 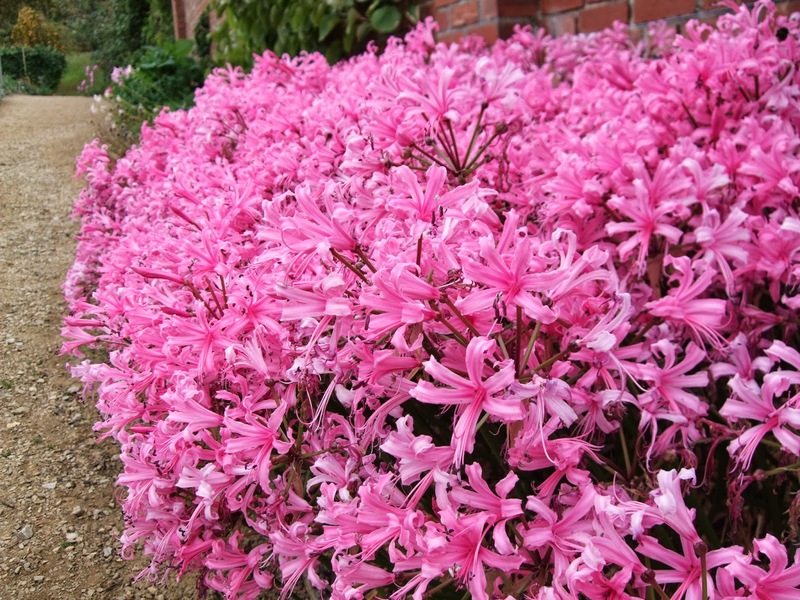 The bulbs can still suffer a certain amount of damage at these low temperatures so if you are planting Nerine bowdenii in more northern climates then they will appreciate a protective, dry mulch over the winter. The RHS gave Nerine bowdenii the Award of Merit in 1993.